I felt really inspired by and drawn to elements from nature! You’ll see the cactus and natural wood pieces repeat themselves along with a neat Geode print and hanging macrame! But, I also wanted to feature some femininity and pieces with personality as well. 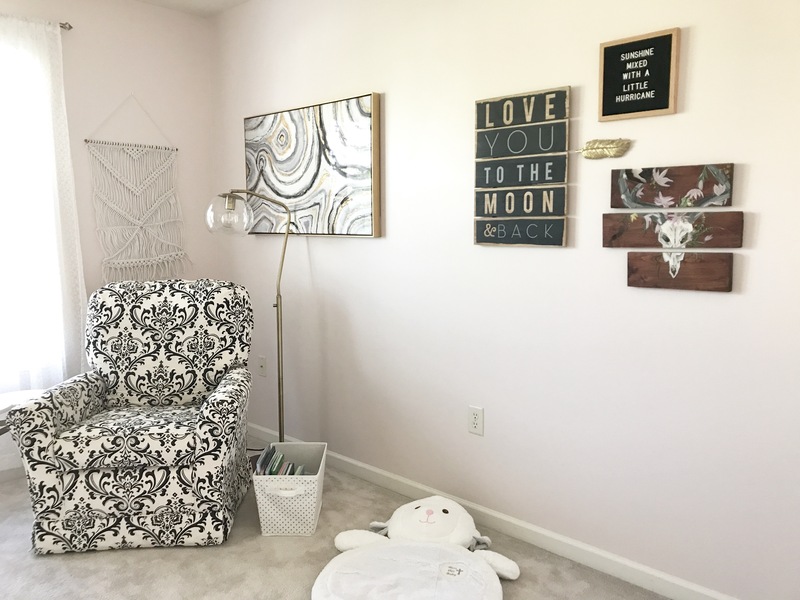 The rocker, geode art, hanging macramé, lamp, book bin, gold feather, and the To The Moon and Back sign are all from Target! Thankfully my vision and their stock were on the same page! Although, the rocker is a repeat from my son’s nursery and it’s my least favorite part of Baby Girl’s room. One of my favorite details is this fun print from Urban Outfitters! 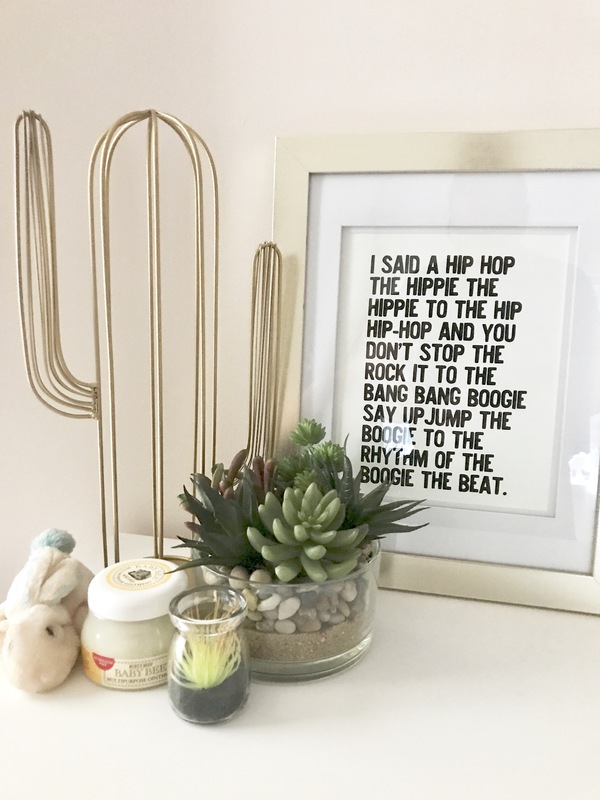 Their prints are so affordable and you can find any frame within your budget and decor style to complete the look. 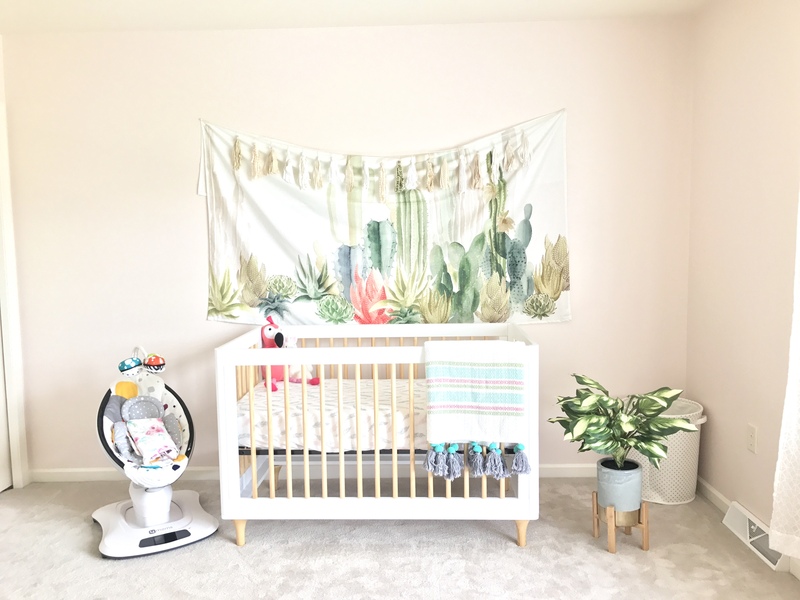 I already can’t wait to see how this fun space transitions from Nursery to Little Girl room!